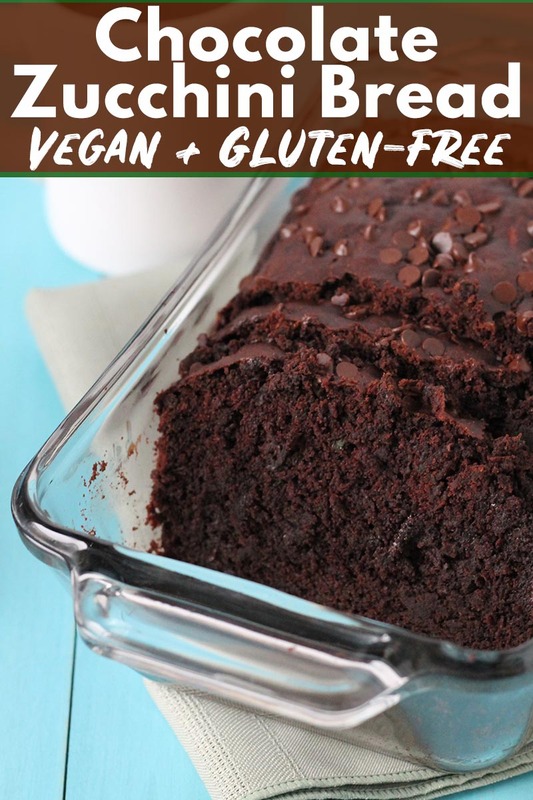 This delicious Vegan Gluten Free Chocolate Zucchini Bread gets its deep chocolaty flavour from dark chocolate and cocoa powder! No one will ever know it contains a vegetable! What do you do when you keep bringing in zucchini after zucchini from your garden? You may want to make vegan gluten free zucchini chocolate chip muffins, gluten-free chocolate zucchini muffins, gluten-free banana zucchini bread, or you may also want to learn how to freeze zucchini so you can make use of it long past zucchini season has ended. 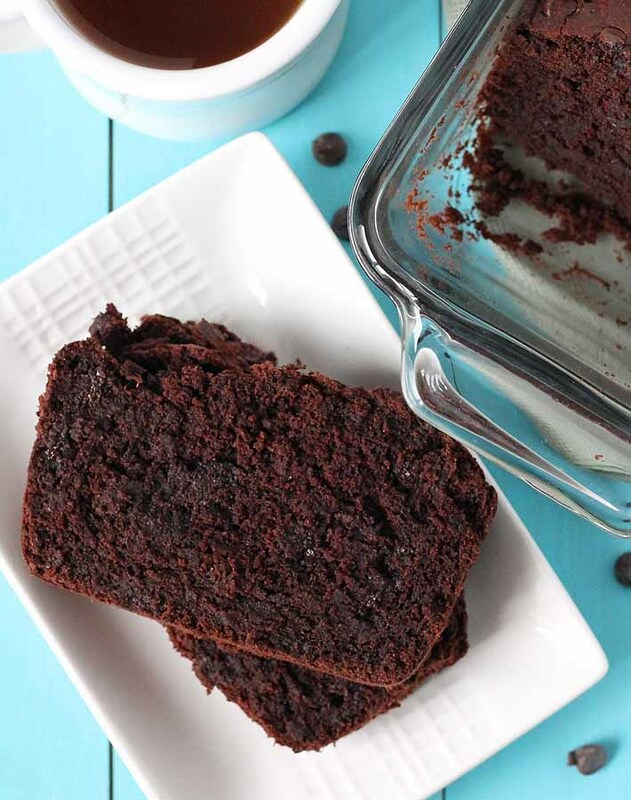 One thing you should definitely do with all that zucchini is make this gooey, chocolaty, vegan gluten free chocolate zucchini bread. It’s made in the shape of a loaf, but it’s a vegan gluten free chocolate zucchini loaf that tastes like cake. Or even brownies. The first time I made it, the kids thought it was chocolate cake! If you’re a little nervous because it contains almost two cups of shredded zucchini, don’t be! There is no hint that there’s a vegetable in this decadent, chocolaty treat! The shredded zucchini in this loaf provides an abundance of moisture which is what makes the texture so wonderful. The texture is a little dense, due to the extra moisture and because of the chocolate chips. The cocoa powder gives it a deep, dark chocolaty flavour that will have you wanting to make it often. Once you try it, I know it won’t be just me making it over and over…and over again! I mentioned above that I’ve been making this with my fresh zucchini from the garden, but if it happens to be the middle of winter as you’re reading this and fresh zucchini is hard to find, frozen pre-shredded zucchini can also be used. Frozen zucchini is not something you see in stores, so freeze up a batch on your own when zucchini season is at its peak and freeze so you can enjoy zucchini desserts year-round. Learn how to freeze zucchini and be sure to read my note about using frozen zucchini in the recipe notes. And finally, just before you put the loaf into the oven, feel free to sprinkle a handful of mini chocolate chips on top, you can never have too much chocolate, right? 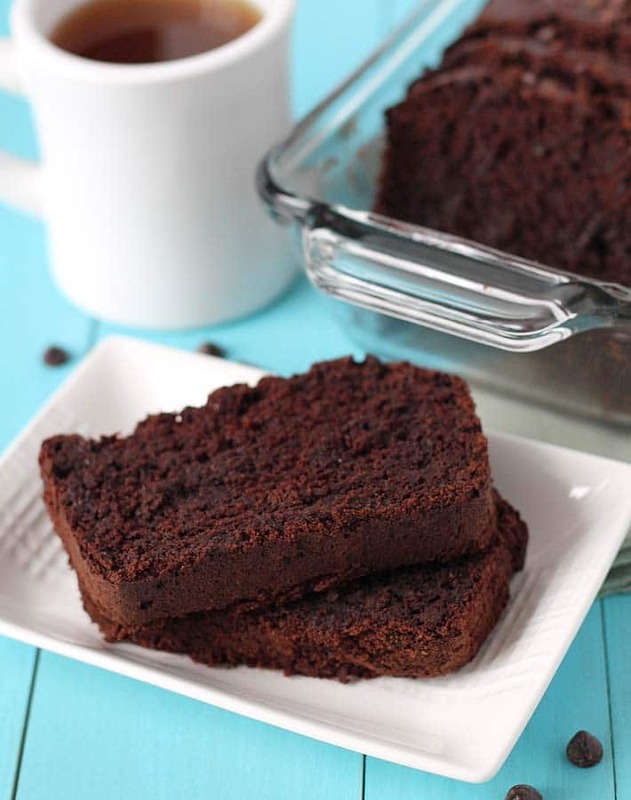 If you like this vegan chocolate zucchini bread recipe, you’ll probably like these too! 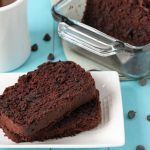 This nut free Vegan Gluten Free Chocolate Zucchini Bread gets its deep chocolaty flavour from dark chocolate and cocoa powder! No one will ever know it contains a hidden veggie! In a large bowl, whisk the flour, cocoa powder, coconut sugar, baking powder, baking soda, and salt together. In a small bowl, mix the melted coconut oil, non-dairy milk, vanilla, and flax mixture together. Add the shredded zucchini and stir until combined. Sprinkle the mini chocolate chips evenly on top, if using. Bake for 55-60 minutes or until a tester comes out clean. See note. 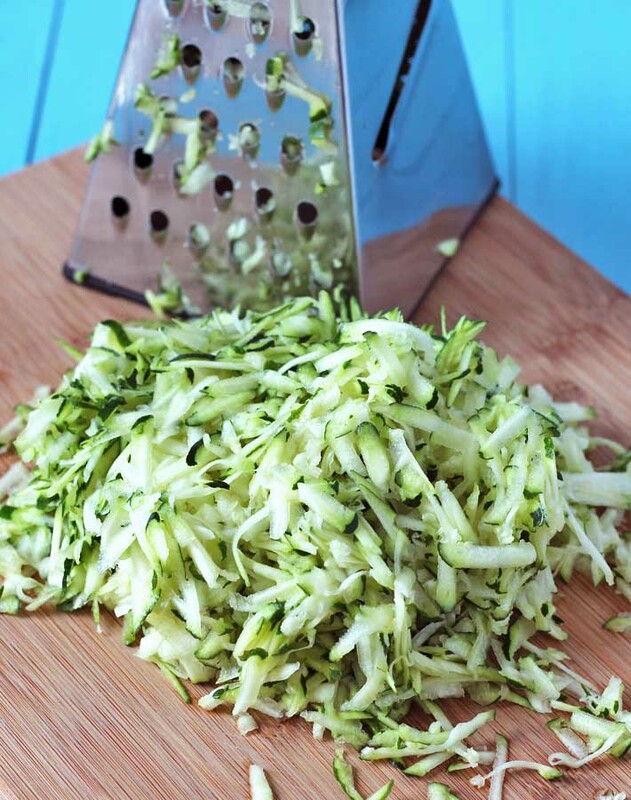 There's no need to squeeze out the excess moisture from the fresh zucchini after shredding, BUT, if you are using pre-frozen shredded zucchini, there will be more moisture than usual after thawing. Once thawed, get rid of any excess moisture that is not contained, and squeeze the zucchini slightly but not so much that all the moisture is squeezed out. Baking times will vary slightly depending on your oven and the type of bakeware you use. 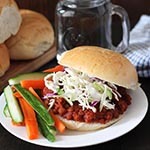 I use a glass loaf dish when making this recipe and it takes 60 minutes. Start checking around the 50 minute mark and don't over bake. This recipe will NOT work with coconut flour. Nutrition info is for 1 slice of 12 and is based on the recipe as it is written, no mini chocolate chips on top. This info is is to be used only as a rough guide. Click here to learn how nutrition info is calculated on this website. 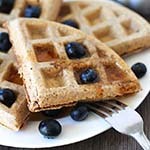 Do you use bobs red milk garbanzo flour or bobs 1-1 flour? Hi Lo, I use the one with the red label. If you click the ingredient link, you will be brought to Amazon so you can see it. 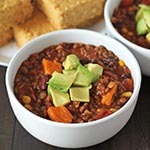 I have not made this recipe with the 1:1 (blue label) but I think it may come out gummy if you do use that one, so stick with the all-purpose blend with the red label 🙂 Let me know how it goes! I have baked this several times and love it! I’ve tried the minimalist baker one but this is much better. Did you manage to make a cake recipe from this? To be honest to me it’s like a cake. Hi Jen! Thanks so much, this is such a lovely compliment 🙂 I haven’t made it as a cake yet, but yes, I agree, it’s very cake-like. I’m going to make it in a cake pan next time 🙂 I’m very happy that you like the recipe! I followed this to the T and it didn’t work 😩😩😩 I wonder what I did wrong! Oh my gosh, this looks amazing! 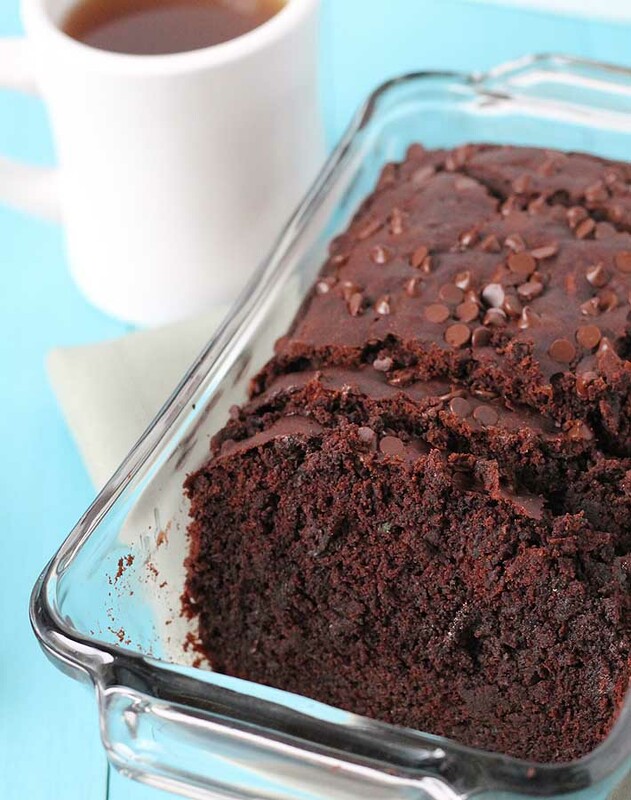 I love chocolate and zucchini bread, so this must be delicious.